Real life is bearing down on me a little bit and I fear I may fall somewhat behind with these posts in the coming days. I hope not since I am nearing on 100 posts for this countdown series and that excites me!! 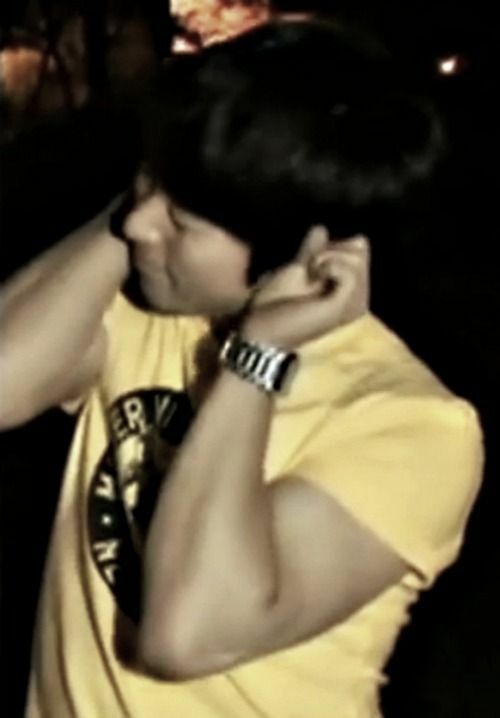 Well, truth be told, just writing about G.O excites me. <hehehe> Anyway, I will stop my whining and carry on!! So yes, Marking The Artist. The show followed the men as they made their comeback and promotions for their second mini album Y. For this post, however, I am going to focus on the picnic following a day of promotions. During the picnic, the men ruminated over their promotion activities, appearances and overall appreciation for their fans. 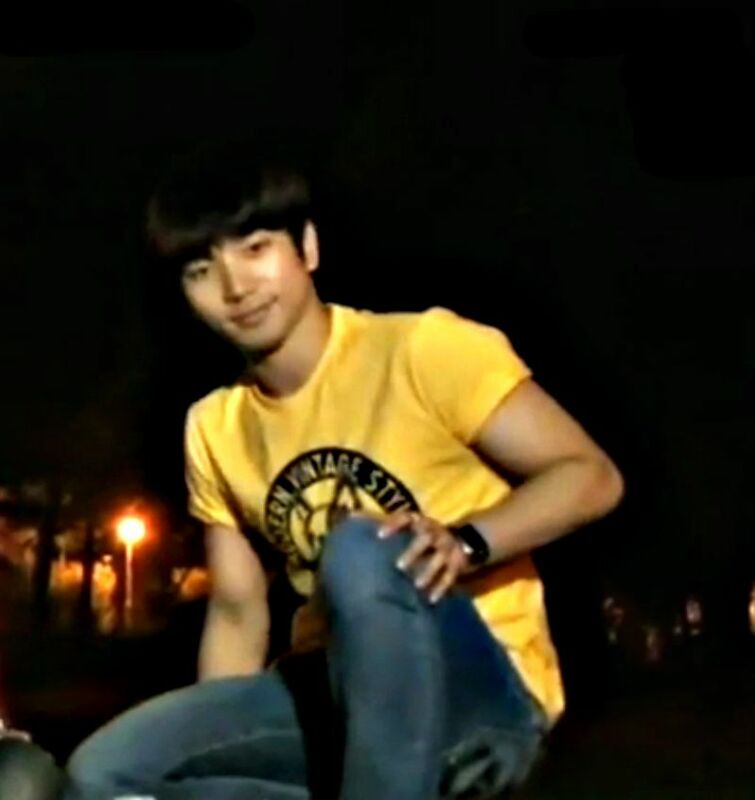 According to G.O, the group wanted to distribute some autographed Y CDs to fans at an event. He said it was their idea and not something they were being told to do by the company (he seemed to have wanted to make a point of that). The men of MBLAQ collectively wanted to give special thanks and love to their fans for their die hard support. The twist was that the men wanted to earn the CDs to distribute to the fans. The only way to do that was through a challenge. These endearing goofballs and their challenges. There were three challenges. 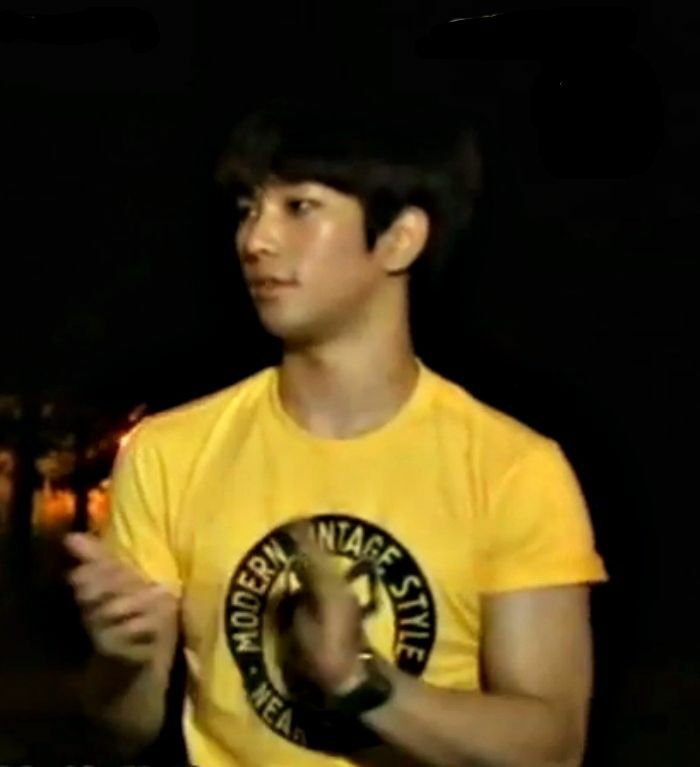 In the first, G.O, Joon, Cheondung and Mir were all given five questions to ask an acquaintance. They had to phone the friend with the questions. The goal was to have the friend answer all of the questions in the negative. Each ‘no’ scored a CD. If all four were successful, there would be a total of 20 CDs to distribute. If they failed, they were on the receiving end of leader Seung Ho’s humiliating blast over the head with a giant toy hammer. 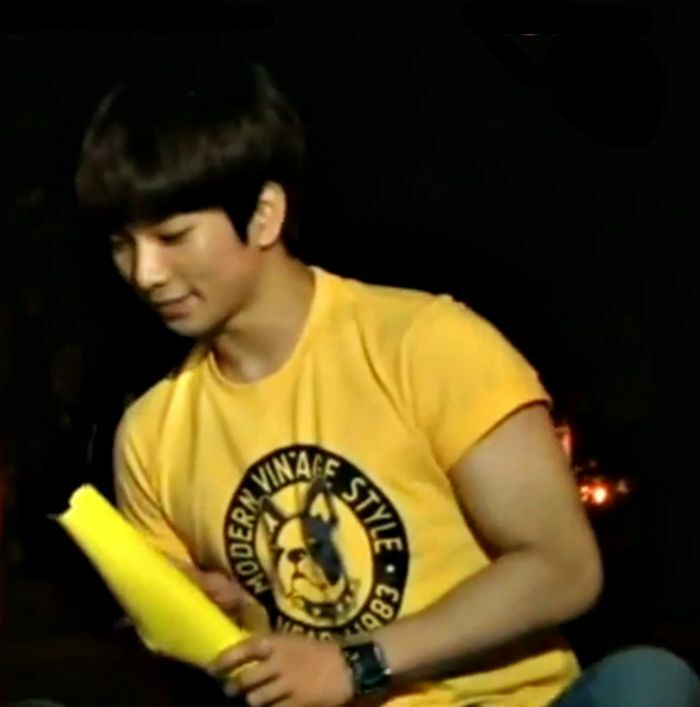 G.O called upon singer, actress and model, Ivy ~ much to the ribbing of his MBLAQ brothers ~ to assist him in winning CDs. I am sorry, but I just cannot!! 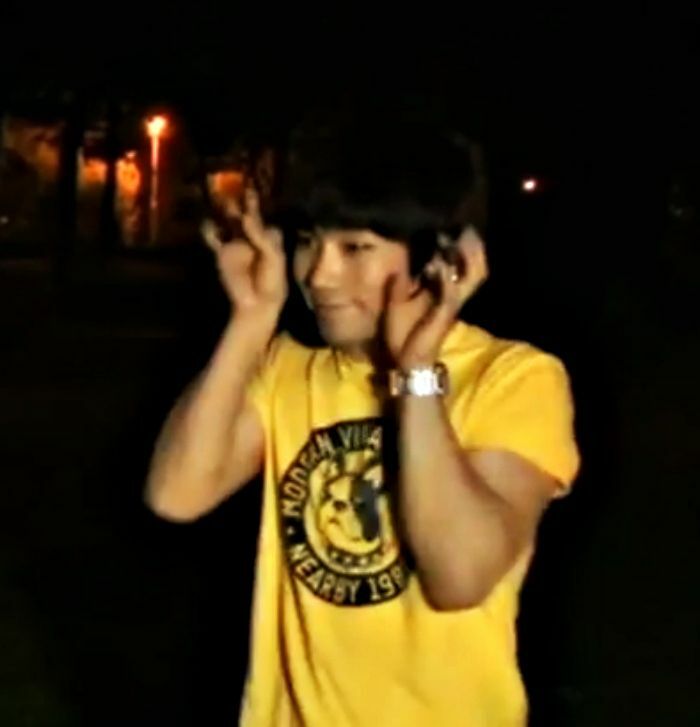 G.O made me literally laugh out loud when he called Ivy ‘halmeoni’ when she answered the phone…..omg!!! <hahahahaha> Love. Him. The second challenge was a quick and fast game of charades where each of the men were given a word they had one minute to act out. No words, just body and facial expression. 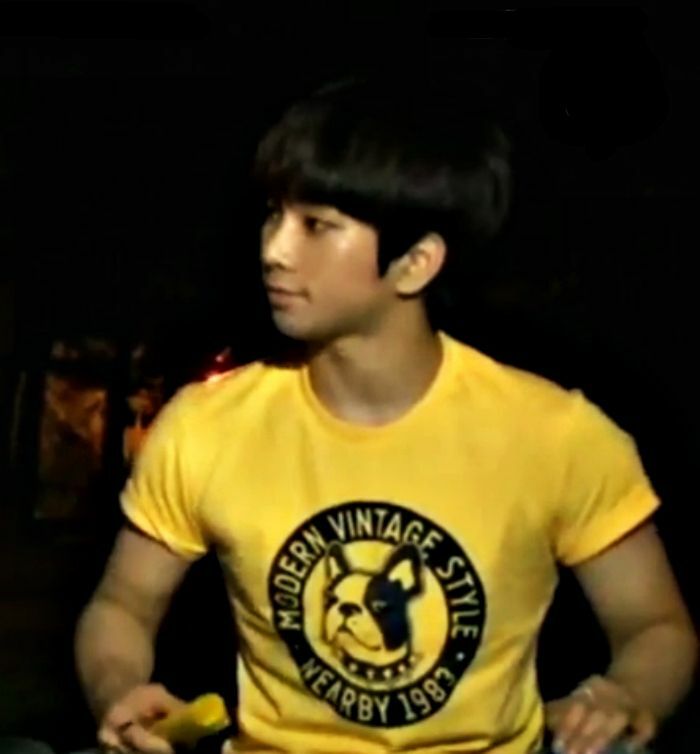 G.O’s ‘fresh’ is more like ‘too cute’ to me! The third and final challenge was one to (hopefully) bring the CD count to 20. Seung Ho phoned Brown Eyed Girls’ Narsha to ask her if she knew what the acronym ‘MBLAQ’ stood for. He was certain she did not. Leader man was correct. They had their 20 CDs to distribute to fans. Sweet!